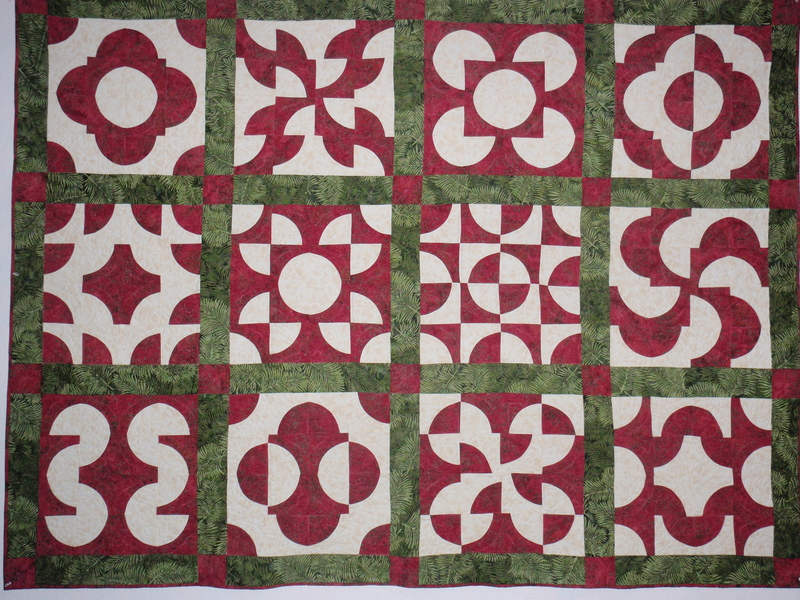 Red and green drunkard’s path quilt. Sampler quilt using the Drunkard’s Path pattern. What size blocks did you use. The finished block size is 12″. I used a 3″ template for the Drunkard’s Path.